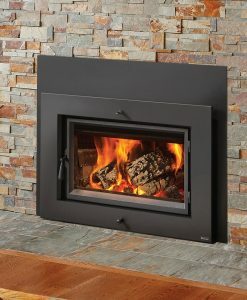 Transform your fireplace into a heat source with large space performance. 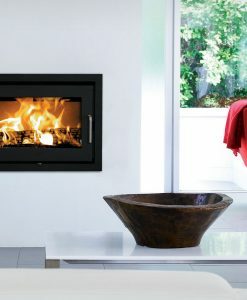 The Clydesdale fireplace wood-fired insert produces a combination of both power and beauty. 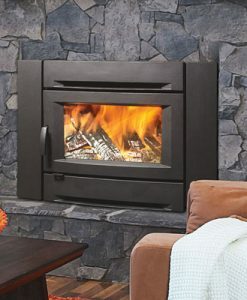 The 2.4 cubic foot firebox produces 60,000 BTUs of heat and can heat up to 2,000 square feet. 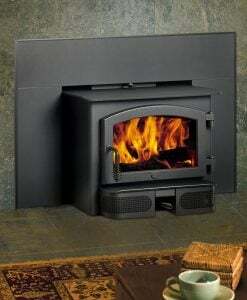 The thick soapstone panels that line the inside of the firebox give the Clydesdale the thermal mass that separates HearthStone stoves from other products. 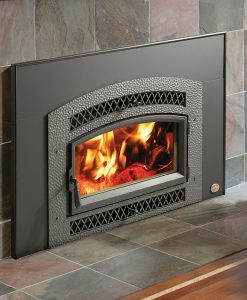 The combination of cast iron and soapstone will add several hours of heat life to the already strong burn time of up to 10 hours. Category: Wood Inserts Brands: Hearthstone. 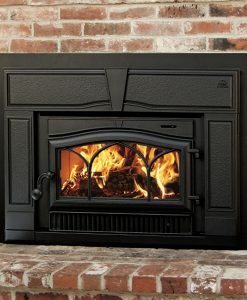 Solid cast-iron reversible door – Improved door handle and latch – Simplified three-piece surround – Quieter blower system mounted in rubber bushings with easy access speed control. The blower helps spread heat evenly throughout home; blower operates only when insert is at significant heat level. The rheostat controls the blower speed. 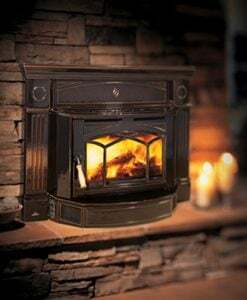 – Improved heating performance with sealed convective air chamber and better air flow – Easier access to blower for cleaning – Easy access draft test port. Holds up to 48 lbs. of wood. 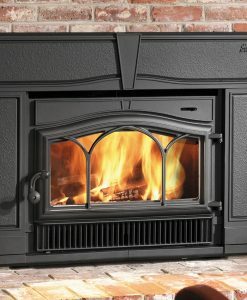 The Clydesdale’s ample firebox and large front door allows loading logs up to 22″ in length easily. Responsive control – insert operation is easy, performance more consistent. 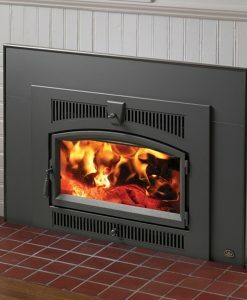 The large front door allows an unobstructed view of the entire firebox. Primary, and secondary air combine for dazzling fire viewing on high, or low settings. Front door easily converts to open from either the left, or right side to meet your specific installation needs. 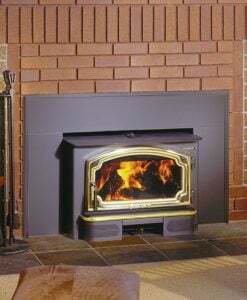 EPA certified, clean burning, complete combustion provides more heat from less wood, greater efficiency, and cleaner chimney due to reduced smoke and creosote build up. Factory installed variable speed, temperature activated, blower assembly is standard.